Purchase the retail bundle at a discount! 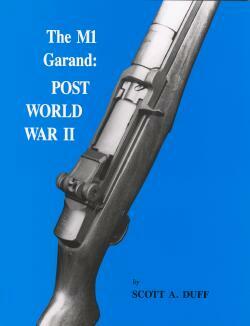 The M1 Garand: World War II, Volume 1 – Covers 1900 through September 1945, including Springfield and Winchester. Updated Second Edition (Soft Cover). All copies signed by Scott Duff! 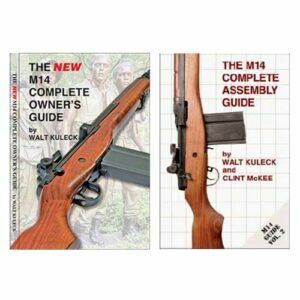 Volume 1 of the definitive reference set written specifically for the Garand collector. 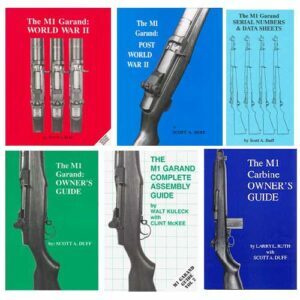 Examines development and production of the M1 rifle from conception through the closing days of World War II. The first Garands, the Gas Trap rifles, are examined in detail. The evolution of Springfield Armory and Winchester produced M1s are chronicled in Data Sheets and photographs detailing original rifles. 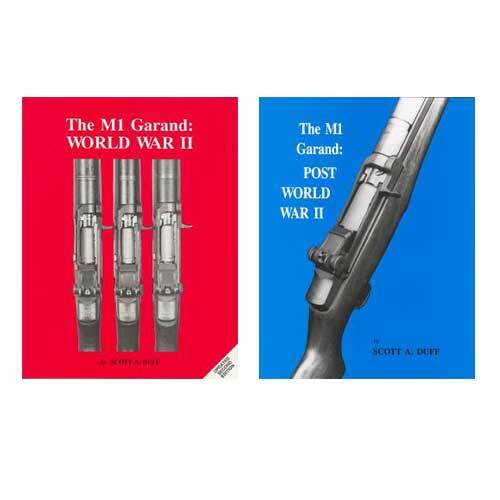 The M1 Garand: Post World War II, Volume 2 – Covers September 1945 through June 1957, including Springfield, IHC, and HRA (Soft Cover). All copies signed by Scott Duff! 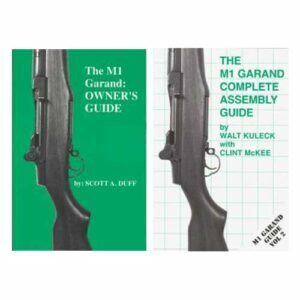 Volume 2 of the definitive reference set written specifically for the Garand collector. 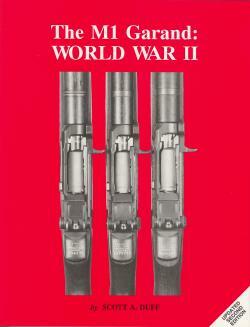 Examines the post World War II rebuild program at Springfield Armory, Korean War production, and continuing development. Manufacture of M1s by Springfield, International Harvester, and Harrington & Richardson are chronicled in Data Sheets and photographs detailing original rifles made by all three manufacturers.